Printable Pyramid Calendars. 20 Calendars starting Rs 1500. 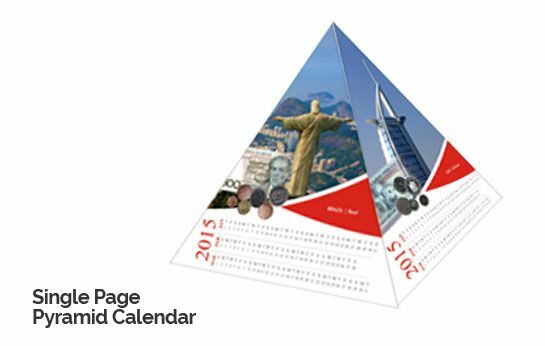 Get the majesty and wonder of the pyramids right at your work desk with PrintStop’s new printable pyramid calendars. These cool pyramid calendars are a great office accessory and can double as a fancy showpiece that will liven up the office environment. 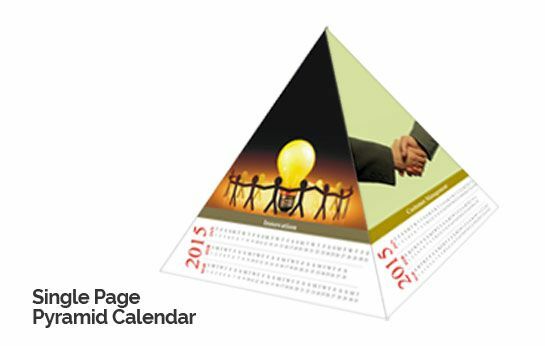 These business pyramid calendars are printed with 3 months each on every face, which can be turned to the relevant dates. They are freestanding and can be kept on any flat surface; they are easily collapsible and can be flattened completely so that they don't take up excess storage volume while being transported. Our printable pyramid calendars are made from premium quality, crisp card stock, which will last all year long without wear. 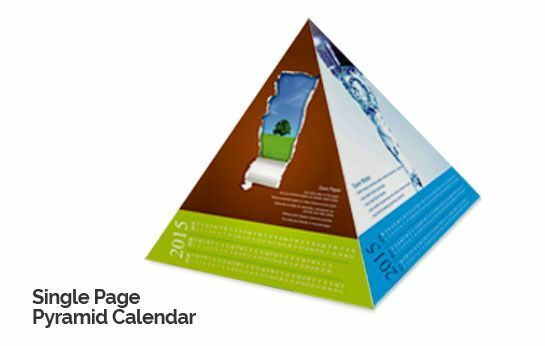 PrintStop’s novel pyramid calendars are also great corporate gifts that will help you receive the maximum exposure and brand recall from your clients. You can also customize your pyramid calendars with a custom design and have it printed with custom text as well as your brand logo. You can submit your own design or you can choose from a wide variety of our pyramid calendar templates. Browse our ready-to-use templates encompassing multiple facets such as Indian-ness, currency and countries, personalities, environment, management, inventions and colors.